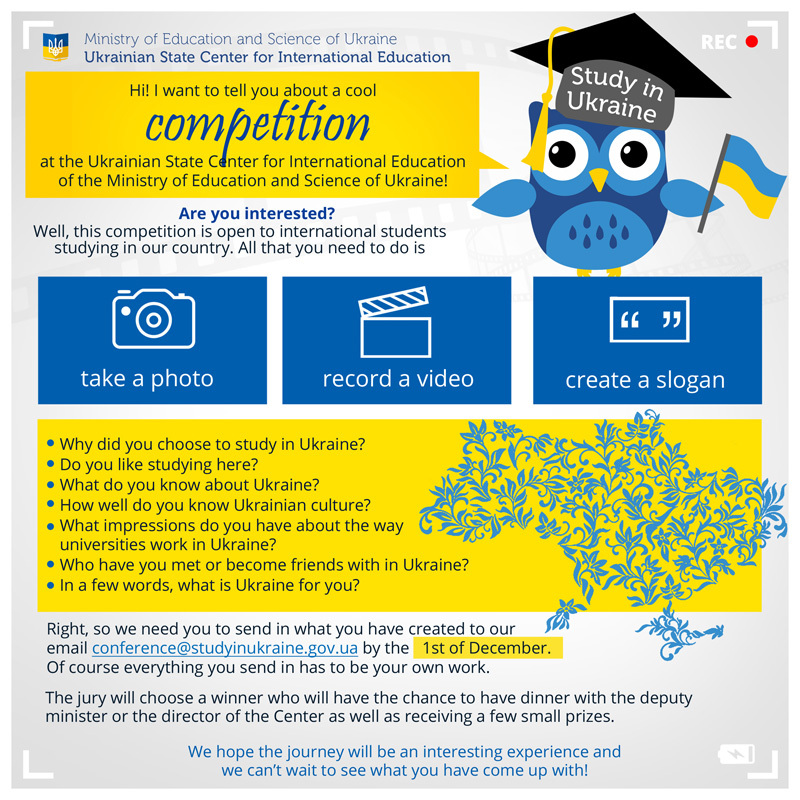 Competition for international students looking for the creative content about studying in Ukraine. 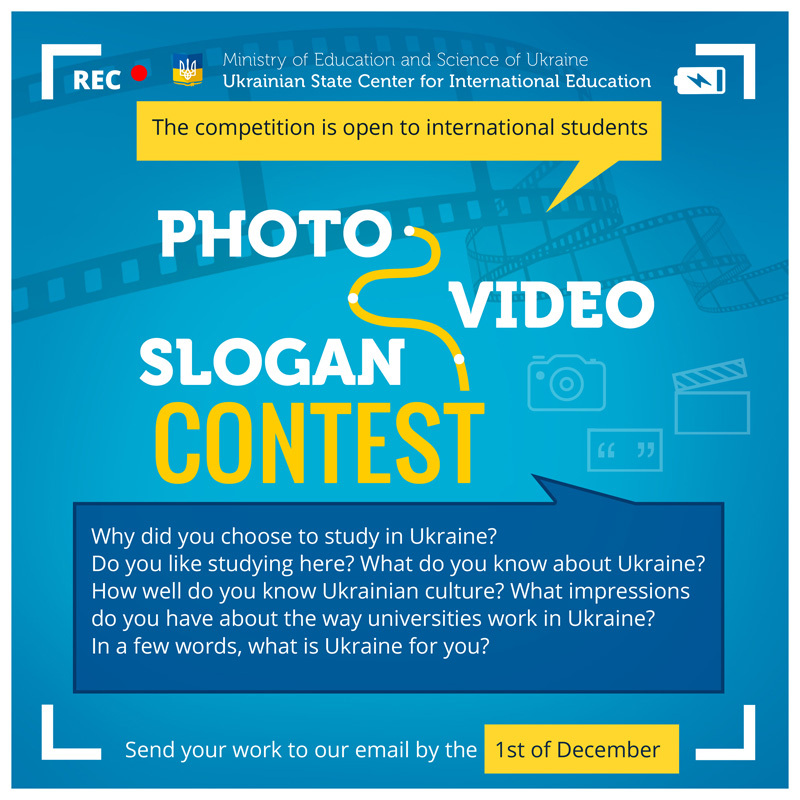 The Ministry of Education and Science of Ukraine and the Ukrainian State Center for International Education are jointly announcing a competition for international students looking for the best photo, video or slogan about studying in Ukraine. • Why did you choose to study in Ukraine? 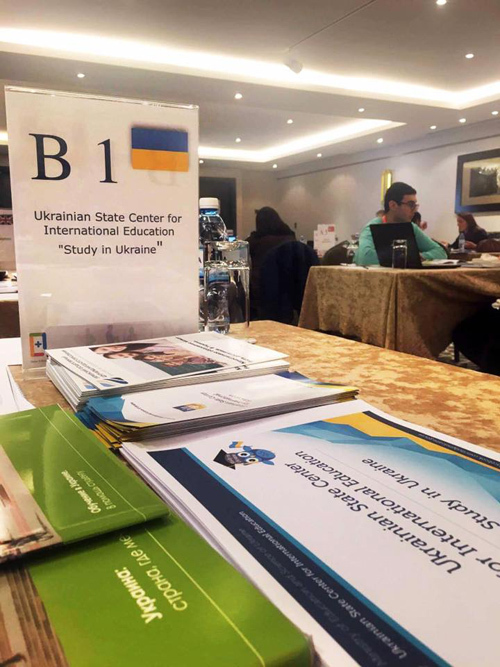 • Do you like studying in Ukraine? • What do you know about Ukraine? • How well acquainted are you with Ukrainian culture? • What do you think about Ukrainian Higher Education Institutions? • Who have you met or become friends with in Ukraine? • What is Ukraine for you? Please send us your electronic submissions to conference@studyinukraine.gov.ua no later than 1 December 2017. Winners of the competition will be awarded amazing prizes. 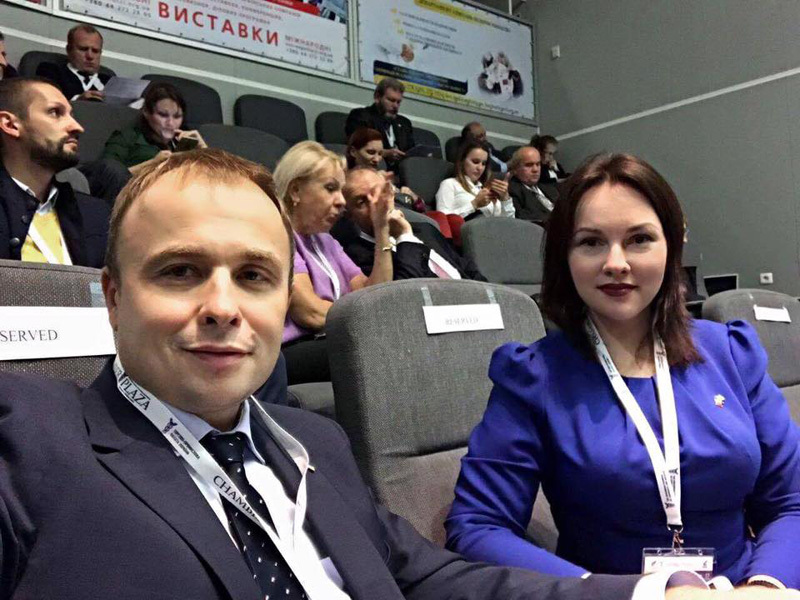 On Tuesday 17 October, Deputy Minister of Education and Science of Ukraine Roman Greba and the director of the Ukrainian State Center for International Education Olena Shapovalova took part in the Ukrainian-Maltese Business Forum. 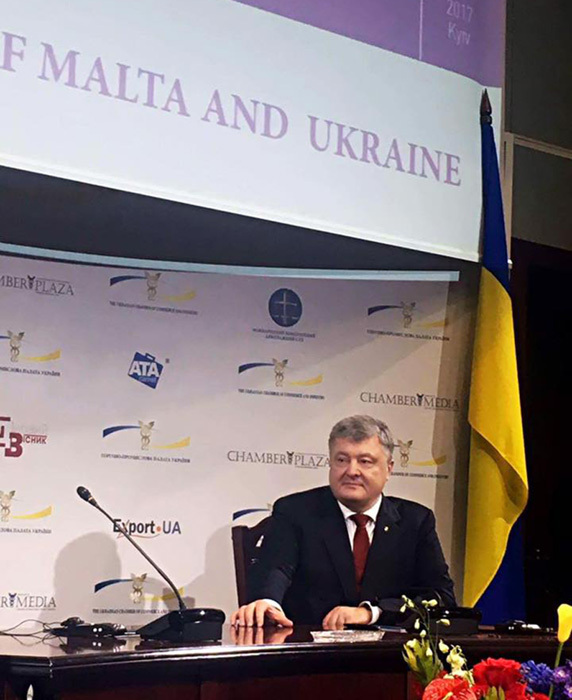 The event was held in the presence of both heads of states – the President of Ukraine Petro Poroshenko and the President of the Republic of Malta Marie-Louise Coleiro Preca. 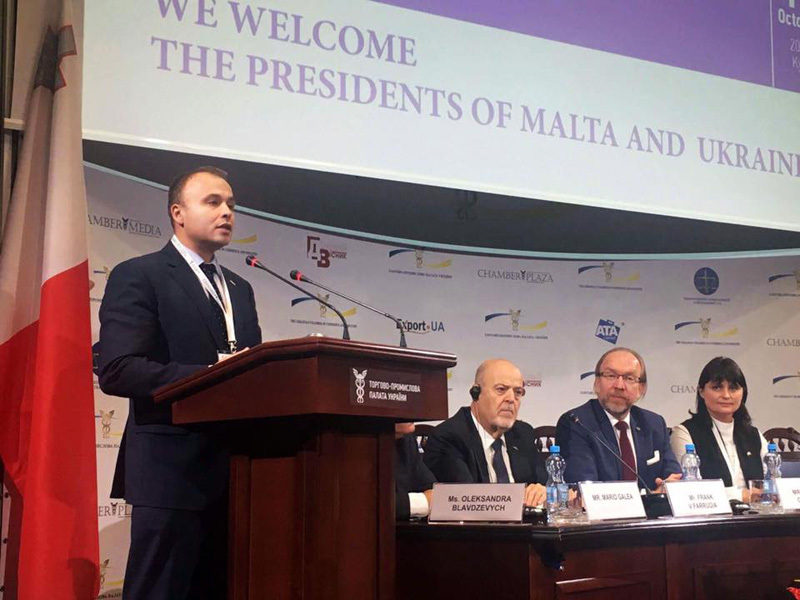 During the forum, B2B meetings were held with representatives from universities of Malta, in particular the University of Malta, a government university, in which 11,500 Maltese and international students study. 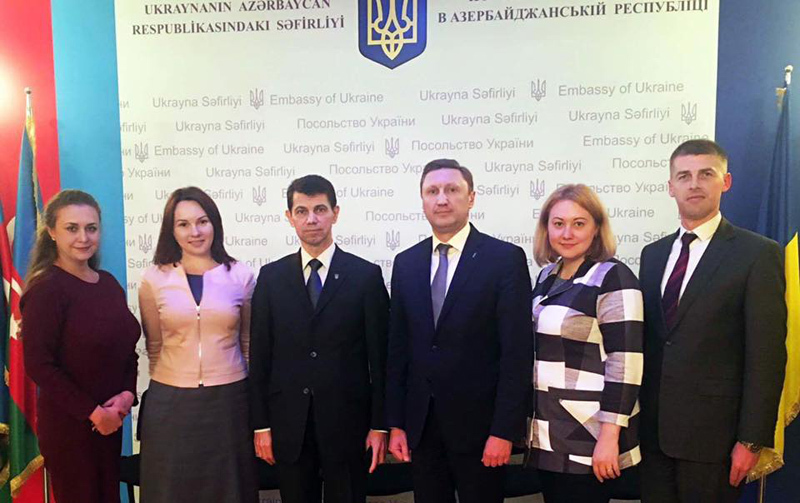 Expanding cooperation between Ukraine and Malta in the area of education was discussed. 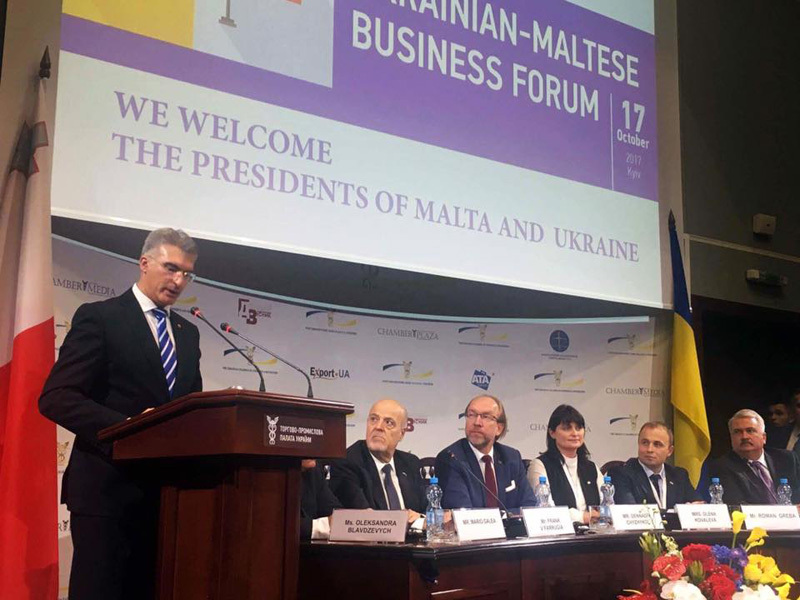 Roman Greba expressed confidence that the outcome of these meetings will give a powerful positive boost to Ukrainian-Maltese relations in the area of internationalizing of education. 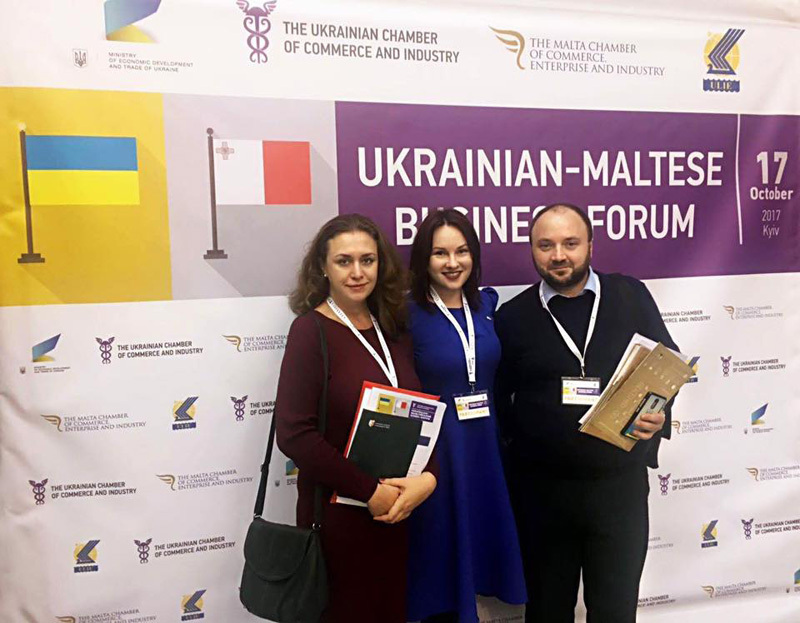 In turn, Olena Shapovalova once again confirmed that students from Malta are welcome to study in Ukraine. At the same time, she said that Malta’s experience in organizing language schools and other areas of educational tourism is interesting for Ukraine. 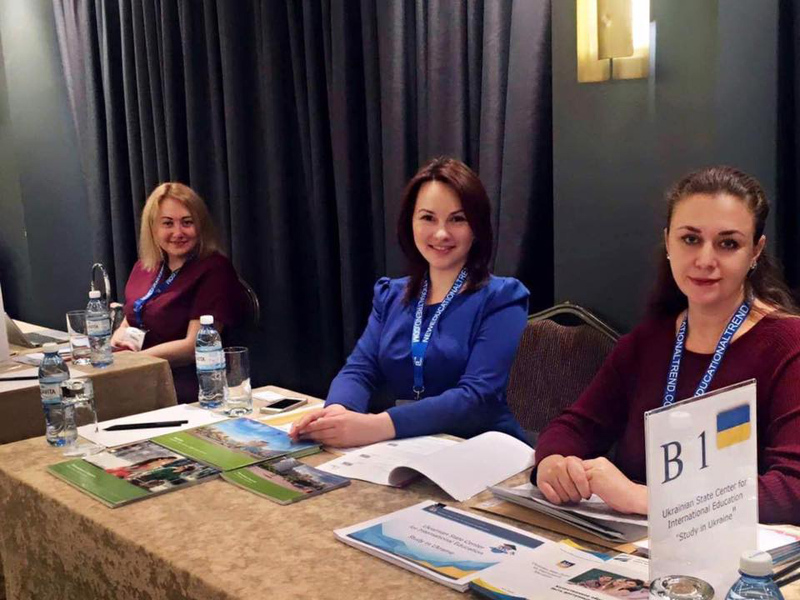 During 5-8 October 2017, the director of the Ukrainian State Center for International Education of the Ministry of Education and Science of Ukraine, Dr. Olena Shapovalova, as well as the head of the Department of Processing, Registering and Monitoring of Information at the Center, Ms. Olena Sulyma, were present at the “New Educational Trend” conference in Baku at the 11th Azerbaijan International Education Festival. 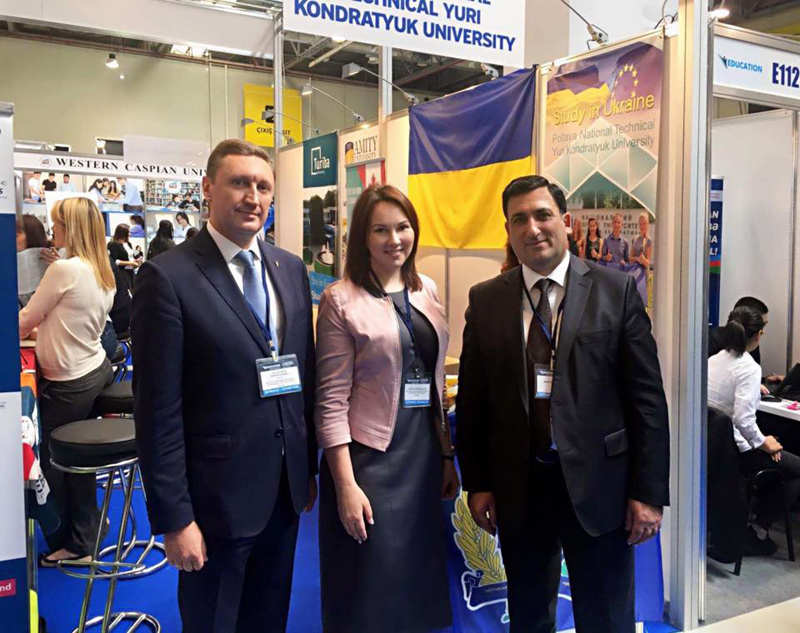 The topics promoted by the Center during the conference included the internationalization of higher education, reforms in Ukrainian higher education, advantages of obtaining a Ukrainian education, and current activities of the Center. One of the many results of the working trip included the signing of a Memorandum of Understanding between Azerbaijan State Oil and Industrial University and Poltava National Technical University. 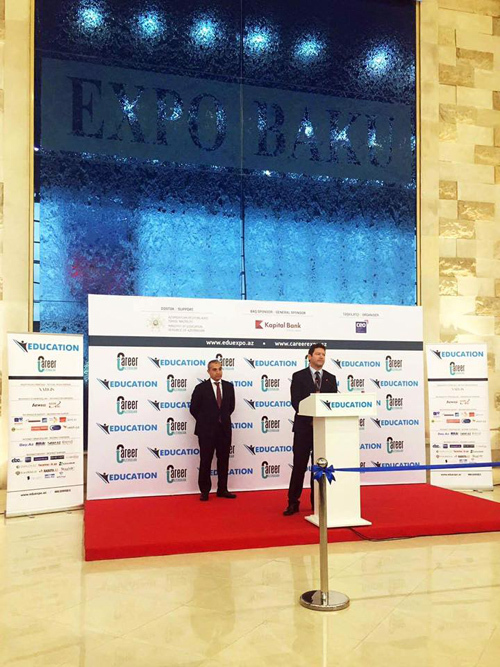 Preparations are also underway for a delegation of Ukrainian Higher Education Institutions to visit Azerbaijan. The work of the Center’s delegation at the conference was strongly supported by the Ambassador of Ukraine to the Republic of Azerbaijan Dr. Olexandr Mischenko. Currently, the largest contingent of international students in Ukrainian Higher Education Institutions is from Azerbaijan with 9,316 students.